ILGA-Europe published its 5th Annual Review of the Human Rights Situation of Lesbian, Gay, Bisexual, Trans and Intersex People in Europe. The publication includes events that occurred between January and December 2015 and covers 49 countries. 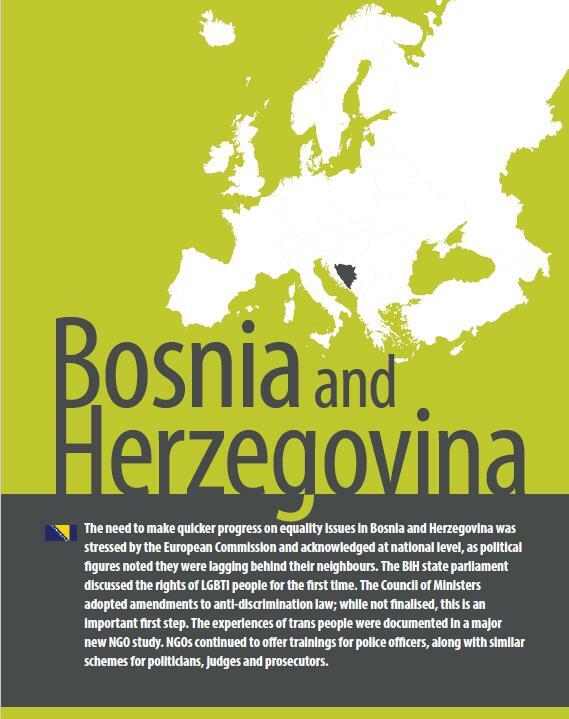 On the falowing link you can find Annual Review for Bosnia and Herzegovina.